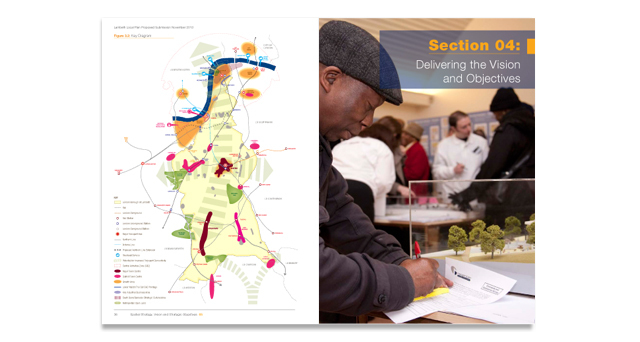 Description: The Lambeth Local Plan communicates development policies for Lambeth to guide growth in housing; jobs; infrastructure delivery; place-shaping and the quality of the built environment over the next 15 years. 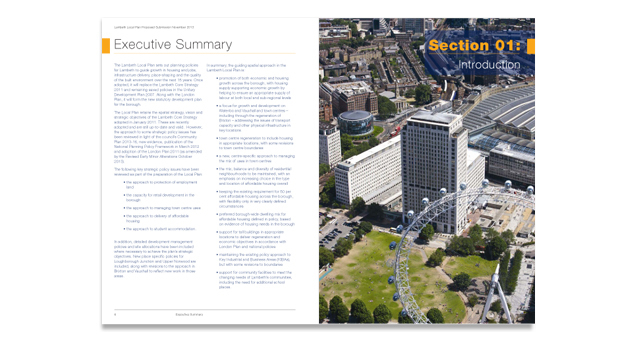 Once adopted, it will replace the Lambeth Core Strategy and will form the new Statutory Development Plan for the borough. 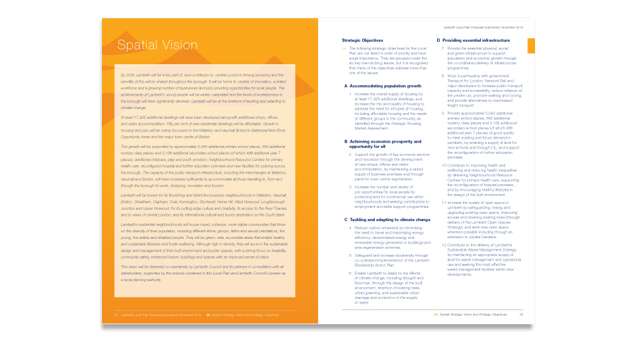 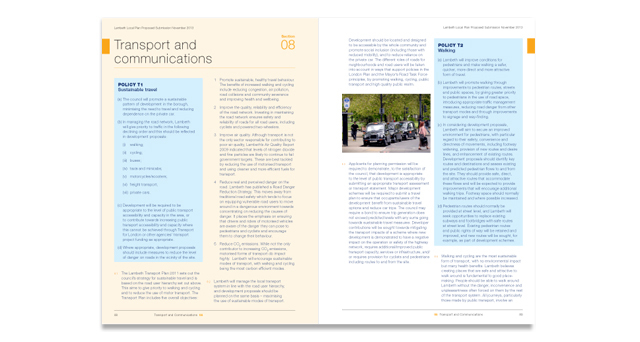 Main challenge: To create an exceptionally high quality document that achieves a clarity and legibility that appeals to the general public as well as professionals. 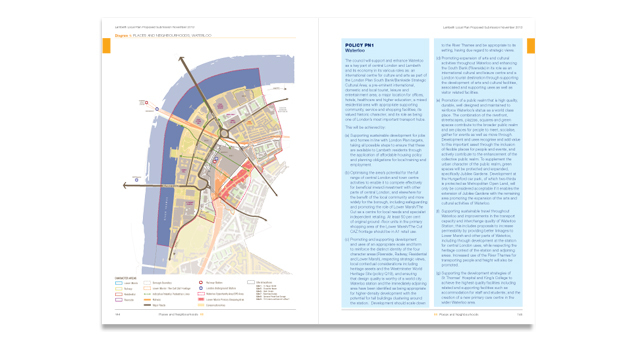 What we did: Working in association with Lambeth’s Planning Policy, GIS, and Communication teams, we designed the 260 page document which included 30 maps. 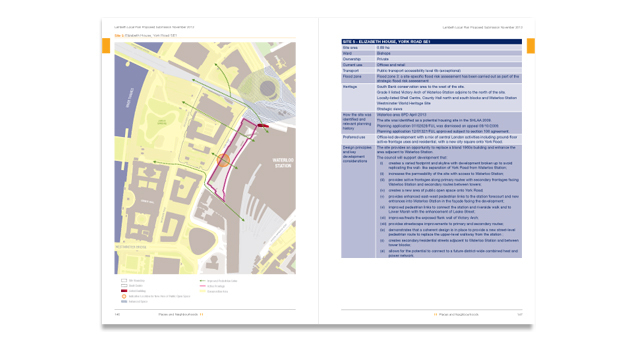 These maps consisted of Site Allocations, Places & Neighbourhoods, and the Key Diagram.